You know how good it feels to finish something you’ve been working on (edit: dragging your heels on) forever? Like you’re on cloud nine, right? 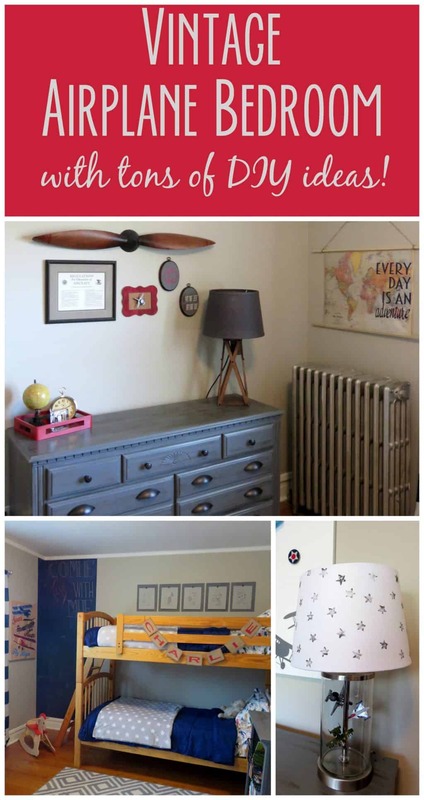 I am TOTALLY up there right now because I finally finished (like yesterday – no joke), my son’s nursery to big boy room makeover, and I am ecstatic to finally be showing you his vintage airplane bedroom reveal! It was a total budget re-do and it is chock FULL of DIY projects that I’ll be spilling the details on over the next few weeks. It’s also full of hand-me-downs and thrift shop finds, but that adds to the vintage look of it all! 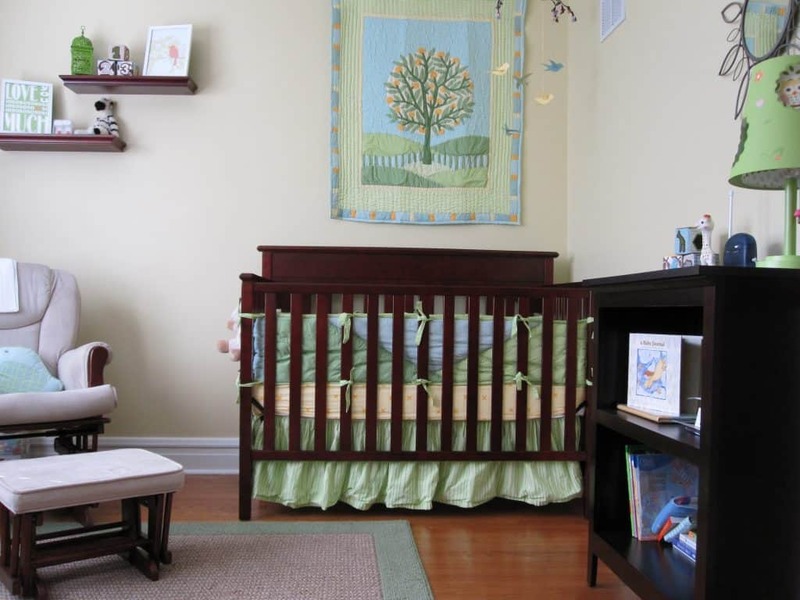 Before I show you the photos of what it looks like now, let me give you a snapshot of what it looked like as a gender neutral nursery. It was so cute (I think! ), but it was time for my little guy to get his own space that was personalized for him. But now here’s what you see when you walk into the room! 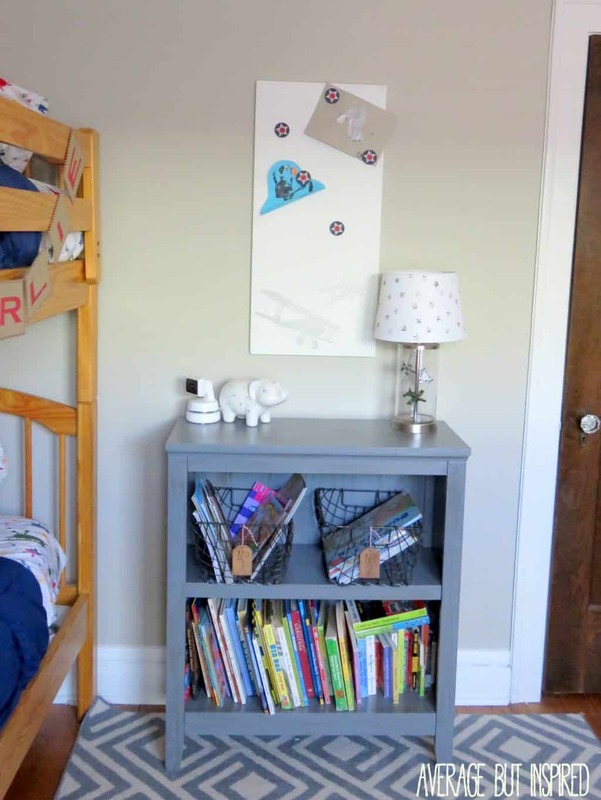 The DIY flying airplane lamp that sits atop the chalk painted bookcase is one of my favorite things in here. And this little personalized banner is made out of envelopes. Fun! 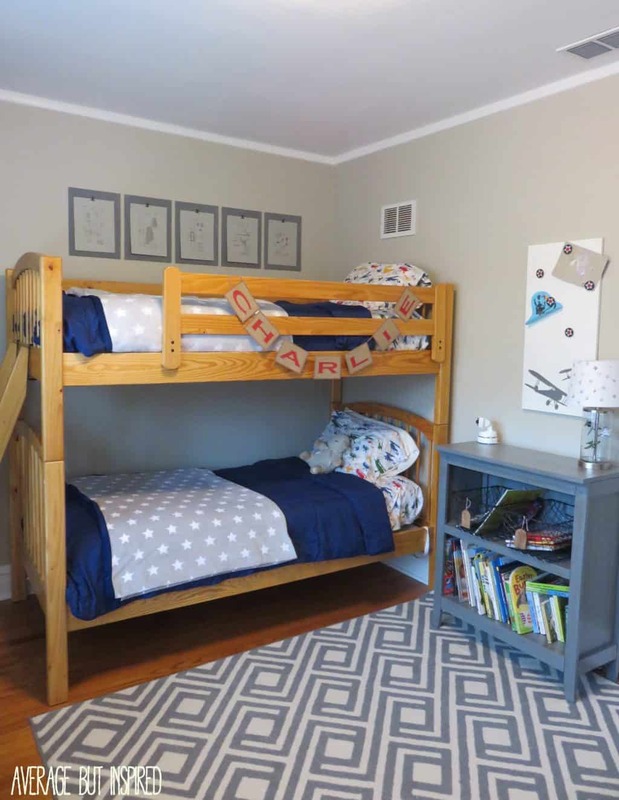 Adding artwork above the bunk bed was a little tricky. I needed something super flat so that the person sleeping up there wouldn’t get hit by the art, or wouldn’t knock it off the wall. 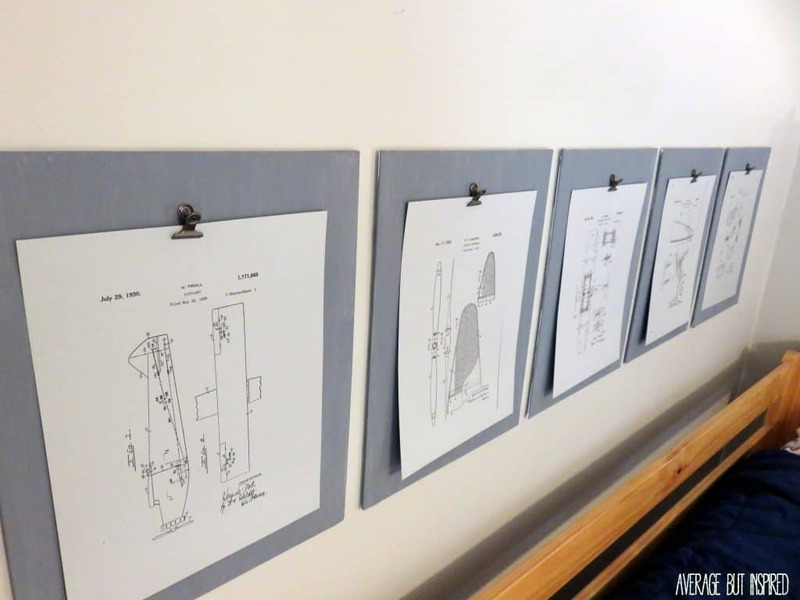 I came up with this DIY vintage patent art that I am OBSESSED with! 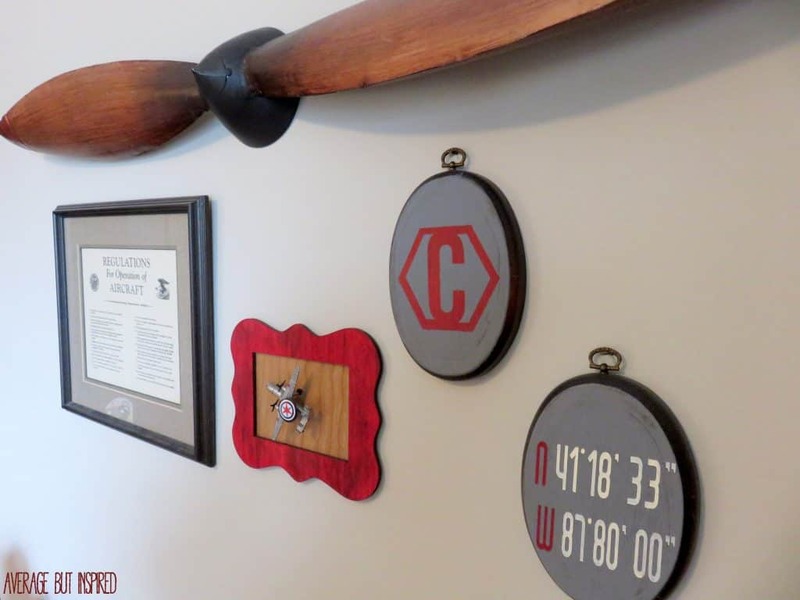 When I was practicing law, I did several patent cases (much to my chagrin – patents were not my thing), so these amazing aviation patent figures are a great nod to my past as a professional and a fun, personal touch to this room! The super flat canvases also make the perfect backdrop. 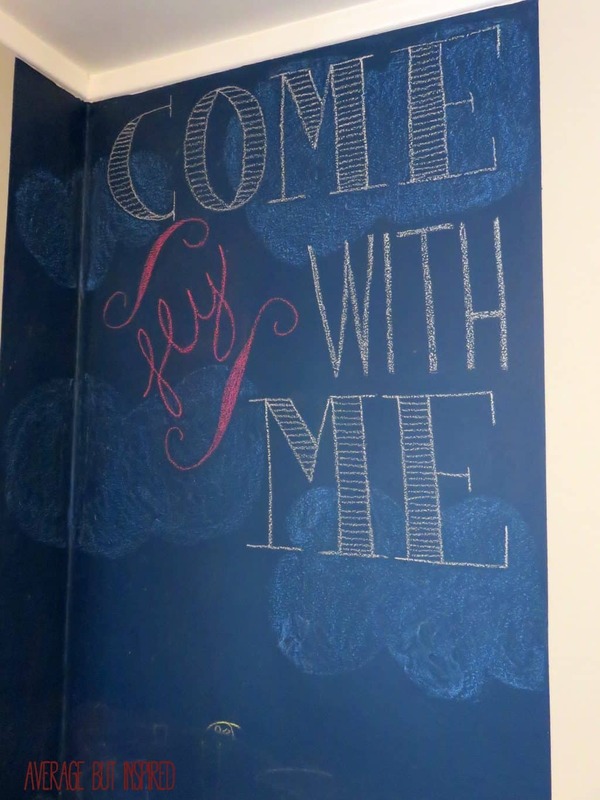 And here’s the SUPER FUN chalkboard wall! 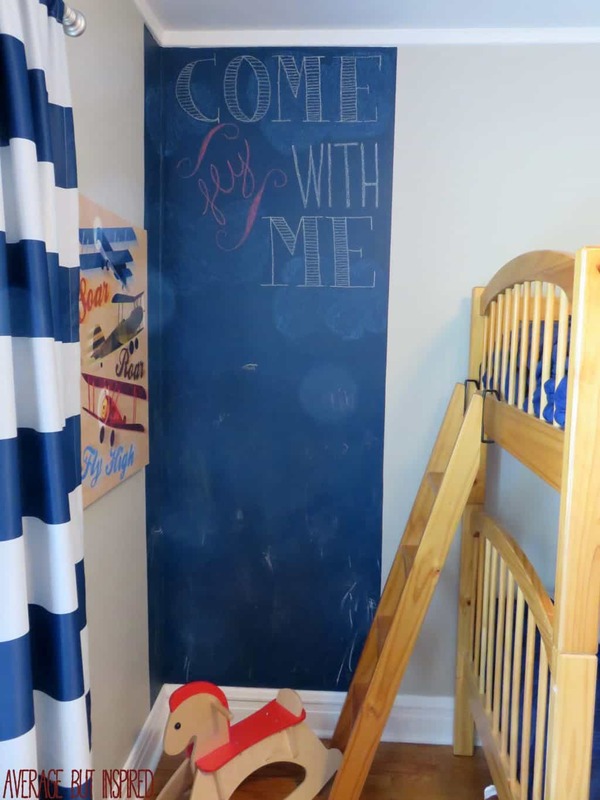 Did you know you can tint chalkboard paint to almost any color? This one is navy blue. Love it. (And so do the kids, by the way.) Wait, actually it is kind of annoying to clean up the dust that the chalk leaves. So maybe I don’t love it. At least it looks cool. Here’s the dresser area. 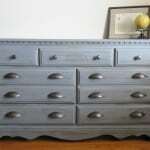 This was my childhood dresser that I gave a makeover just for my boy. (You can get all the details here.) I love that we were able to keep this piece even though it was outdated. And I just about did a backflip when I found that propeller at HomeGoods. Of course it threw itself into my shopping cart. 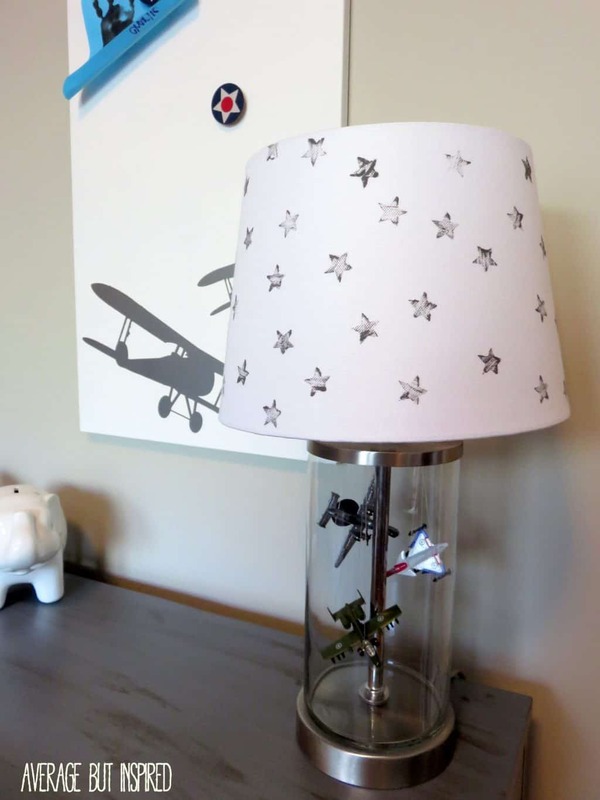 Then I added an aviation-inspired print that used to be my Grandpa’s, and some thrift shop upcycles that include my son’s monogram and some special coordinates. Some DIY map art above the radiator adds to the adventure theme of it all. Being in this room just makes me happy. My little guy absolutely loves it, too, and that’s what’s really important. I have to say that as much fun as I had putting it together, I am glad it’s finished now. I have about 37 other projects that I’ve been neglecting, so it’s time to get moving on those! Oh my gosh Bre! You’ve totally thought of everything – each and every detail brings so much fun and personality to the space! 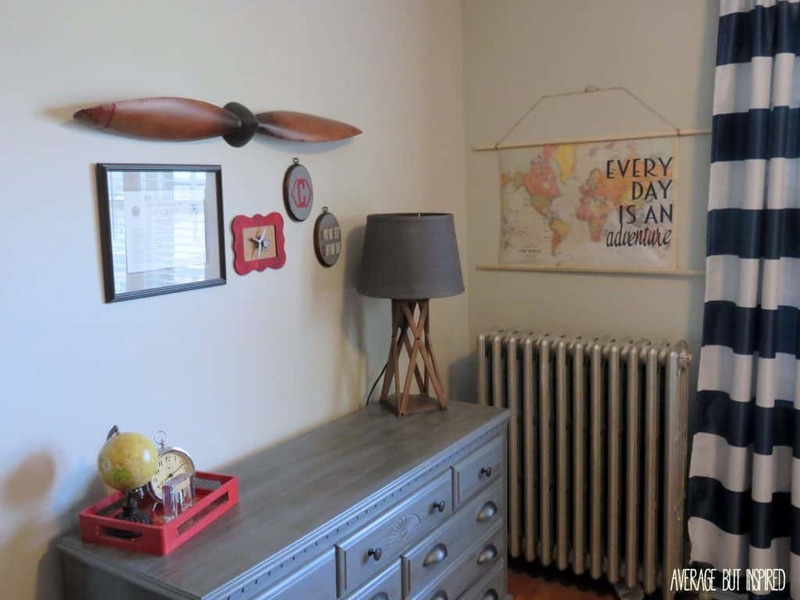 LOVE the chalkboard and those plane patent prints, and that propeller was definitely the find of the century!!! It’s absolutely perfect and I bet that little man of yours absolutely adores his new big boy bedroom! Wow, Bre! It looks awesome! 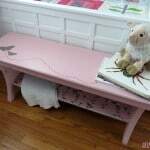 I love all the DIY projects you did to make it so personal and fit your theme. Very cute! Bre, this room is adorable! 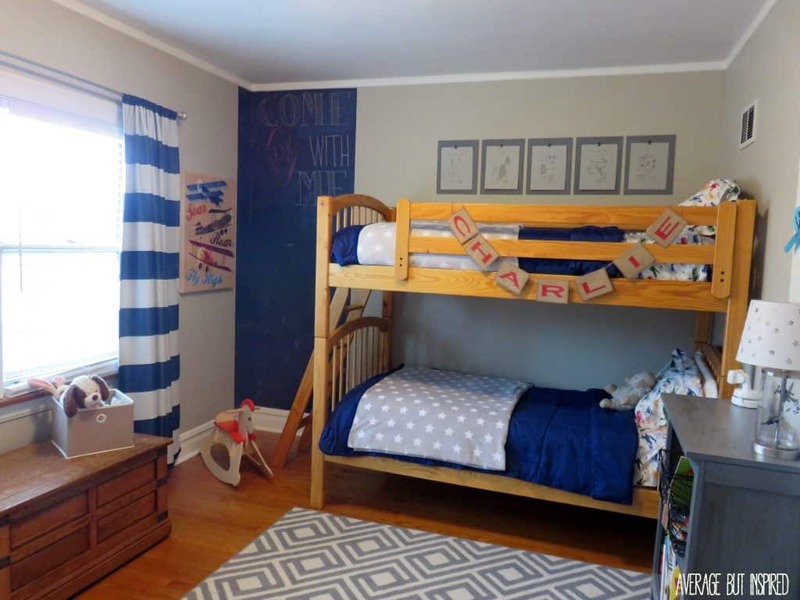 Your little guy sure is lucky to have this super cool room! Wow Bre, you did an amazing job! 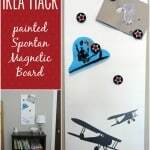 I love all the DIY projects and fun airplane details. 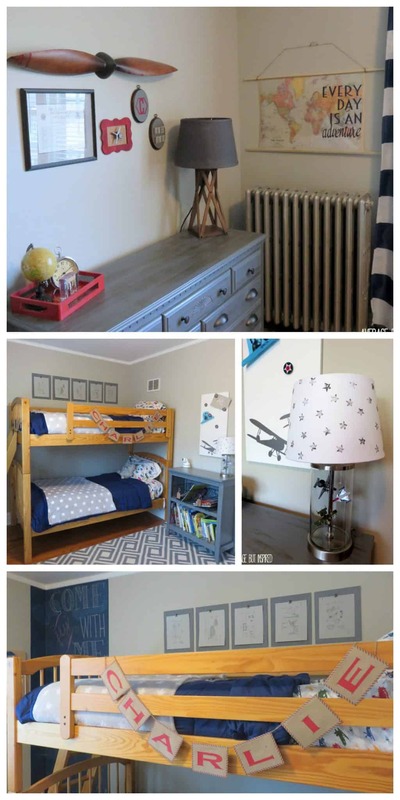 Your little guy is so lucky to have an amazing room. Oh Bre! 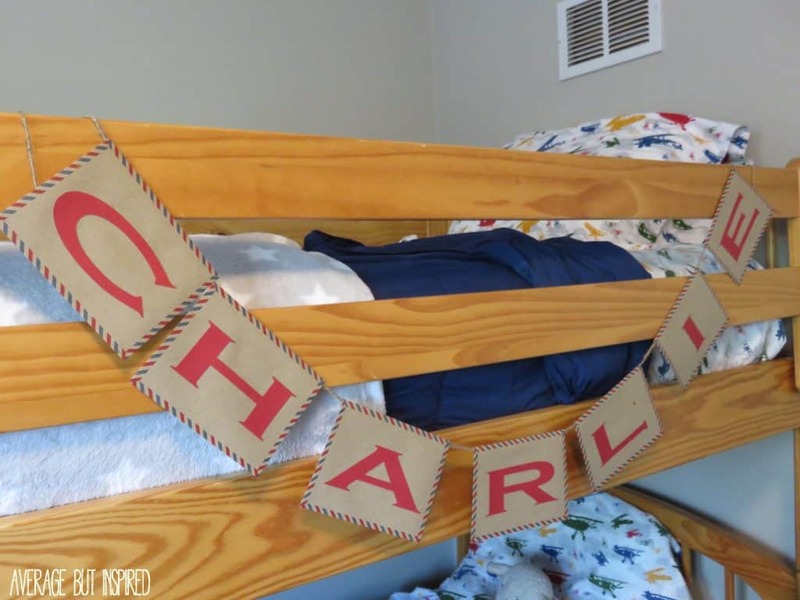 I just love Charlie’s big boy room. 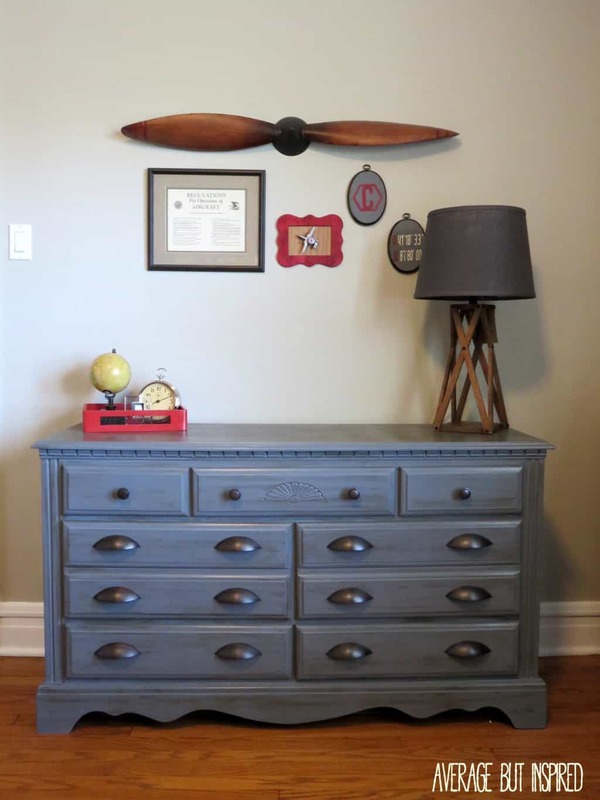 I love vintage airplanes as a theme for a little boy’s room. You did just a great job with all the special touches. Where did you get bunk beds.